Tune in for the Sparring Session between these two boxers! Congrats to our 3 fighters on their victories tonight ! Gio’s win by TKO in the second round and Erick’s win by decision against a tough opponent; they’re moving on to the semi-finals of Golden Gloves. 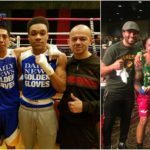 While our other fighter Rob won his fight in the NYPD v. DOC Boxing Tournament 2017. Due to severe weather conditions, we will be closed today. Please be safe out there and stay tune for further updates. 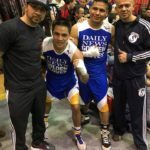 Congratulations to both of our fighters who competed in the Golden Gloves won their bouts tonights. Pablo by TKO in the 2nd round and JC by decision.